Can you remember the first time you danced? What about the last time? And all the times in between? The first time I ever went to a club I was 17. It was a rave called Happy Happy Joy Joy in an intimate little space in the early 90s; Boy George (yes THE Boy George) was spinning and it felt like I had finally found my “home”. Drag queens with the most divine outfits, club kids with fancy footwork and lasers like I had always imagined; I had found my peeps. For my 16th birthday, a friend and I had hired a DJ from an inner city club called The Tube. He set up in her living room, I danced all night and that was the closest I had ever experienced to the true feeling of flow on the dance floor until I discovered the rave scene. From that moment on I became obsessed with European DJs, house beats and all the accessories of the club/rave life. Living in the suburbs outside of the small city of Brisbane I would scour the pages of the club magazines and keep my eyes peeled for party fliers waiting for news of famous DJs and dance parties coming to our little city. Crafting (cheap, student-priced) costumes, gathering friends, heading to the locations was always fun but nothing compared to walking through the doors, hearing the heart-pounding beats and dropping into the depths of the dance floor. It became my escape, the only place I felt free, the space I craved to heal and let go. I would dance for hours and hours becoming one with the music, feeling completely embraced by the beats and the energy that dance would bring. I would crave the experience until the next one came around. Although I originally went to Tokyo for a job, I secretly couldn’t wait to visit the super clubs. Funnily enough, I hardly went to any when I first arrived but ended up performing at many when I started hooping. I am going to put that magic down to the years of manifesting and daydreaming about being in Tokyo clubs. I epically manifested myself all the way up on to the podiums performing and taking over stages with LED hoops. When I first moved to Japan I felt like I left a lot behind and I desperately missed the experiences of the dancefloor. It was a few years of being disconnected from my body, the dancefloor and the states of euphoria that I had adored coming through the music. I had still kept the music close to me but instead of blasting out of club speakers it was usually through headphones. It was almost as if I had told myself that I should grow out of all that “stuff”. 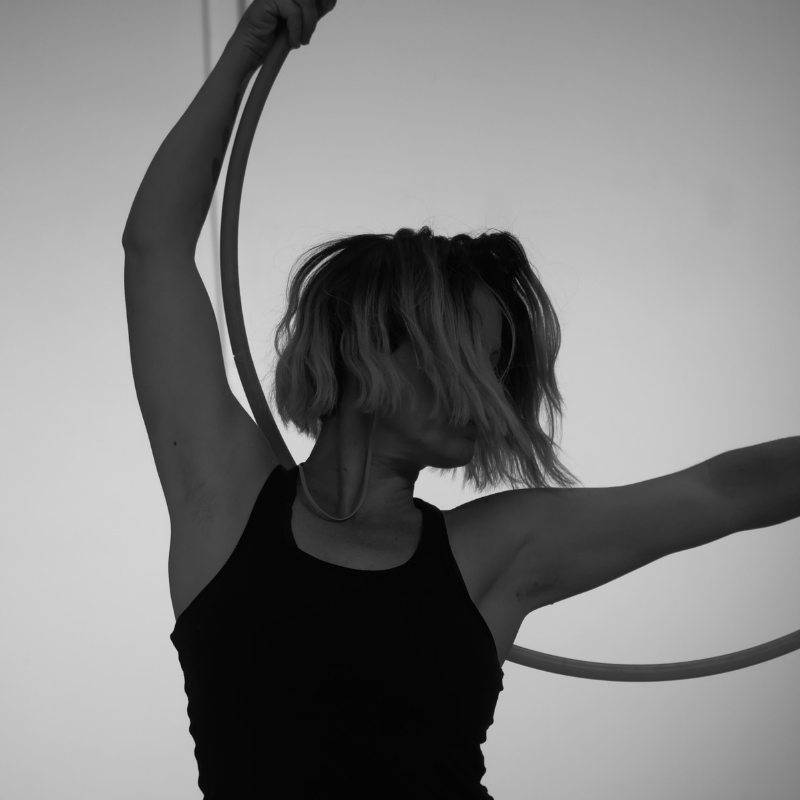 And then in a random act of blog reading, I discovered hooping. Everything that I had missed about embodied dance came back through me. I was alive again and realized joy was not something to EVER grow out of. Still to this day when people ask me if I was a dancer before I started hooping I always say “only on the dance floor”. Decades of dance floor experience has taught me connection to myself, the music and community, it has taken me to some of the wildest and most fabulous parties around the world but most importantly allowed me to find a space where I can be authentically me and totally free. How do I feel into my deepest potential? How do I open doors that I thought were locked? In all it’s messy, loose, Wild, freestyle, soft, slow, tired or energized forms. What comes to your mind when I say the word dance? Fun nights out? Your fav music? Freedom and flow? Or perhaps it is a judgment of your skills? A desire to let go? Perhaps you see ballerinas or hip-shaking salsa dancers? Maybe it conjures a sensation in your body? A memory or feeling. As I was washing the dishes last week, music blaring booty shaking I had a flashback to all of the matriarchs of my family. We all loved a bloody good mixed tape. I had a vision of my Nanna in the laundry of her old house washing the floral patterned sheets with her favorite tunes blasting from a small plastic stereo, cheerfully singing her heart out to the golden oldies. And my Mum with her ever-expanding record collection cranking an eclectic mix from Bob Marley and Led Zepplin to Dolly Parton. I didn’t come from a family of musicians, dancers or artists I inherited a burning passion to absorb the arts and transmute them into the actions of everyday life. Music and dance have been like therapy to me my whole life and my recent dishwashing epiphany helped me realize I have two great women to thank for passing that on. 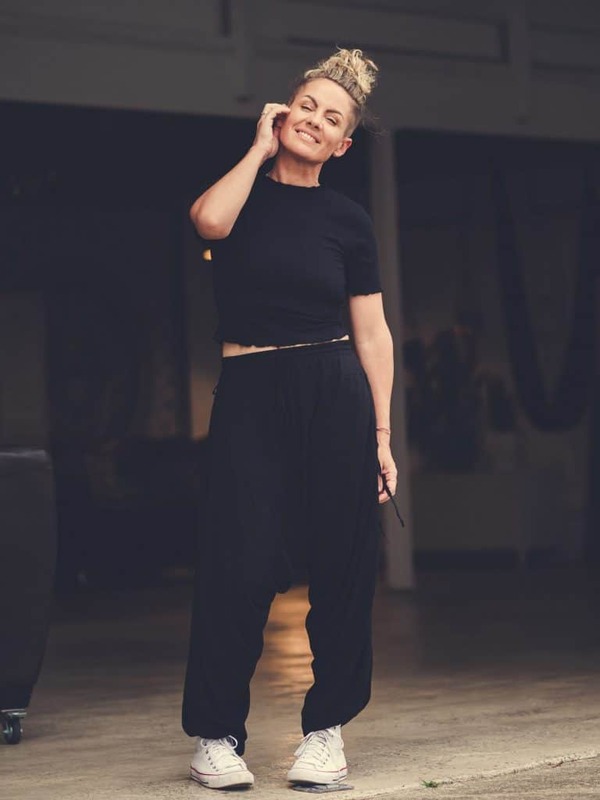 Recently I shared in my Sacred Cycles podcast how dance, movement and in particular hoop dance has healed my cycle, my life and how it allowed me to connect with my sensuality on new levels of discovery. More deeply it has allowed me to connect with my emotions, all of them, especially the ones I can not articulate through words, the ones I don’t understand or keep squashed down. So where am I going with all of these stories? Well, I need you to know that I am not a trained dancer. But I move. I have been to hundreds, maybe thousands of dance classes but never really stuck to any style, I would be going one way as the rest of the class would be going the other. But I groove. I don’t have technique, but I have passion and a deepening connection to my body and the beat. So I am a dancer. And so are you. In all of your rich bodily wisdom. You were born to dance and every time you embrace the way you uniquely move through time and space you remember why you are truly here. You were not created to stand still, you are a miracle in motion.